Roxanne Style: Polar Cub Available! 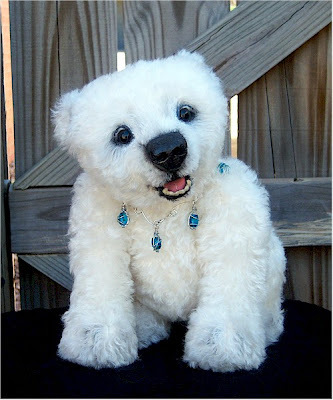 I have a new little Polar Bear Cub named Miki available right now from my website. She is such a happy little gal! Pleas view her information at my website, Bear Paws by Roxanne.